Why Choose California for Online Higher Education? The Georgetown Center on Education and the Workforce projects that by 2020, two-thirds of California jobs should require postsecondary education. The California Statewide Employment Projections also show rapid growth in careers that require at least some college education. To obtain one of these lucrative careers, consider earning an online degree in California. The state boasts some of the best colleges and universities in the nation, making their online programs an attractive option for both in-state and out-of-state students. Continue reading to learn more about the most affordable online programs in California. The following sections also include information on financial aid and essential information applicable to students earning their degrees online. In creating this list of the top online colleges in California, we analyzed each school’s affordability and quality; the top online programs in California offer you the best educational experience at the most affordable prices. This list shows what excellent online universities offer students regarding majors, flexibility, and online learning resources. In other words, pay close attention to each program’s top qualities. 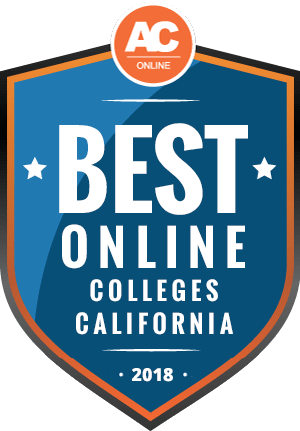 Let’s take a closer look at the best accredited online colleges in California, and how they stack up against each other for 2019. California State University, East Bay, better known as Cal State East Bay, is a California school that excels in research, giving students a chance to study outside of a traditional classroom and get hands-on experience. It offers over 100 degree programs, and students can study toward their degree at one of the school's two campuses. Along with their campuses, California State University East Bay also has a professional center in downtown Oakland, giving students access to professional resources. Another popular method of study at Cal State East Bay is through their online program. There are over 50 courses offered either online or in a hybrid format, making it one of the biggest online schools in California while also allowing students to study specific courses without needing to commute or keep a tight schedule. Alliant International University, San Diego is just one of the many campuses under the Alliant International University umbrella. The San Diego campus is home to more graduate students than undergraduates. Because Alliant offers different programs of study at different campuses, those who are interested in a graduate degree might find their San Diego campus to be more fitting. However, students can also study through the school's online program. Via their online degree programs, students can study toward one of many master's degrees, some of which are considered to be among the best online degrees in California. Popular options include their master's in clinical counseling, educational psychology and clinical psychopharmacology. Lovers of the outdoors will find that Humboldt State University has a lot to offer. Thanks to their prime location in Northern California, Humboldt State gives students the unique opportunity to study sciences while practically immersed in the field. Some of the degrees offered by Humboldt State include zoology, wildlife, fisheries biology and environmental resources engineering. Also, students can study toward some of the degrees entirely online, making it one of the only online schools in California to offer these types of degrees. The option depends largely on which degree students are studying toward. Another benefit of Humboldt State is their small class sizes, making each course a personalized experience with a professor that will help students along the way. California State University, Chico is one of the oldest of the CSU schools in California, and since they were established they've built a reputation as one of the top online schools in California. Their online degrees are all accredited, and they allow students who don't live in Chico to earn the same quality education as those on-campus via online education. Online classes are popular with students who want to create their own schedule and expedite their graduation. Because of this, online schooling is also often paired with summer and winter courses, giving students a chance to get their studies done at their own pace. Chico's master's programs are also considered to be some of the top in the nation, including those that can be studied and completed online. San Diego based National University was founded by a retired member of the US Navy, and their curriculum and ethos reflects many of the same values that one might find in the Navy. Military members also get a tuition discount at National University, a way to pay back those who served. While National University is based in San Diego, they have more than 20 locations that students can study at, and online options as well. The school's online format is unique for being the only online school in California that uses four-week classes – something that is also used for on-campus studying. There are also over 100 degrees offered at National University, meaning there's no shortage of programs for students who might still be trying to figure out what they want to major in. California State University, Fullerton is nationally recognized for its innovative style as well as its quality education. There is a dedication to making sure that students feel welcomed as well as supported, and they are helped through school with a level of attention that not all schools can offer. Students also have the opportunity to study toward both an undergraduate degree and graduate degree in some fields. While many students end up studying on-campus, Cal State Fullerton does offer online programs for students that are unable to study on-campus or prefer to study at their own pace. The online program for educators is also worth noting since not every online school in California offers this type of education. Students can also study toward finishing some bachelor's degree through the online courses offered. As the oldest institution of higher learning in San Diego, San Diego State University has had over 100 years to grow and establish their current culture. While they're based in San Diego, the international community has become an important part of the school. Graduates of SDSU end up with a strong foundation of education in regard to globalism, helping them prepare for a future career with the global community. The academics at SDSU are well respected, and there are plenty of different undergraduate and graduate degrees offered. Students can also choose to study abroad, strengthening their global approach. There are plenty of online options offered as well at different levels, including the master's level and for extended studies. Consistently considered to be among the best online colleges in California, Shasta Bible College and Graduate School understands that their students are busy and might not have the time or resources to make it to campus on a regular basis. With this in mind, they've crafted their online programs to allow students to study at their own pace. Most of the online degrees offered involve biblical studies or Christianity, two important aspects of Shasta Bible College. However, students can also study online toward degrees in education. SUM Bible College and Theological Seminary is one of the only online schools in California that offers both undergraduate and graduate degrees in biblical studies in a high-quality format. That's because SUM bases its history in theology and Christianity. Students who chose to learn at SUM can only study toward one undergraduate degree – a bachelor of arts in biblical studies – but can bolster their education with different minors and concentrations. After studying toward a specific minor and/or concentration, students can then apply their specialty to the graduate programs offered at SUM. One of the core values at SUM is to breed leadership in their students, helping them become leaders in their community. This education is ideal for someone who wants a strong background in biblical studies and has a desire to become a leader or teacher in theology. Accredited by multiple organizations including the California Department of Education and the Association for Biblical Higher Education, Bethesda University has established itself as a leader in theological studies regarding Christianity. Based in Anaheim, BU is home to students from across the country, as well as plenty of international students. Many international students are Korean natives who want to strengthen their faith and bring their knowledge back to Korea. But not all students who study at BU live in Anaheim. One of many great online schools in California for biblical studies, BU offers online education to students who prefer the flexibility to study at their own pace. Their online program still combines the same principles of a strong education with an emphasis on faith, so distance learning students – including those outside the country – can still earn the same quality undergraduate or graduate degree. College students aren't always fresh out of high school, many people end up studying toward a college degree at some point later in their adult life. Golden Gate University, San Francisco, understands that adults also understand the importance of a college education, so they strive to educate adults to help them advance in their career or switch career fields. Because adults often have busy lives and can't study on campus on a regular basis, Golden Gate University offers online degrees and courses, all of which are accredited. Golden Gate University is often considered to be the best online school in California for adults, particularly because they understand how busy life can be when you work and have a family. All online degree programs are designed to help students make a leap in their career. One of the top online schools in California for Korean natives, World Mission University is a leader in developing Christian leaders in the Korean community. World Mission doesn't just want to educate Koreans, but to help give them a chance to build a strong community through faith wherever they end up living. Their biblical studies programs give students a firm education in the Bible while also developing the leadership skills necessary to become teachers and educators. Their online education programs offer students the chance to study toward a degree while living anywhere in the world. Graduate programs are also available for students that want to further their education and faith. Touro University Worldwide is committed to social justice and developing philanthropic behavior, along with giving students a high quality education. One thing that makes Touro University stand out is that they are one of the only full online schools in California. All of their degree programs can be completed 100% online, allowing students to study from anywhere in the world. But just because they're a fully online school doesn't mean that they don't have options. There are four schools within Touro where students can focus their studies on business, health, psychology and general studies. Each of these four schools also offer numerous degrees. Each degree is meant to teach students how to become leaders in a global world, while also giving them the tools they need to advance their career. The Chicago School of Professional Psychology may have started in Chicago, but they have three campuses open in California. Along with those campuses, they have partners around the world, giving students access to unique study abroad experiences. As their name demonstrates, the Chicago School of Professional Psychology specializes in psychology. More specifically, they offer a number of graduate level psychology degrees to help students advance through their psychology career. Even with multiple campuses across the nation, some students might find that studying remotely is best for them. To help, the school offers online programs that match the same quality of their on-campus courses. It is one of the only psychology specializing schools where students can get an online degree in California. Not all students are able to study at specific times in specific places, so Brandman University has structured their school to fit best for students who need more flexibility. Because of this, their online school is a big part of their education. The online courses give students access to their studies wherever and whenever they want, and they can communicate with instructors and students to help with their studies. One of the more flexible online schools in California, Brandman also offers hybrid programs that allow students to study in person and online. Brandman also has over 25 locations where students can study in person and on-campus, ideal for students who are looking for a more traditional college experience. Azusa Pacific University College is a subsection of Azusa Pacific University, located just northeast of Los Angeles. University College is the entirely online format, available to students anywhere as long as they have internet access. Home of some of the most affordable online degrees in California, popular options include criminal justice, psychology, information systems and management. Many other degree options are also available at Azusa Pacific University College, and programs range from certificates, associate's degree, bachelor's degrees and master's degrees. Each program is designed to give students the flexibility to study when they are able, and all programs are accredited. University College also has accelerated degree programs for students that want to complete a four-year degree at a faster pace. Christian faith and critical thinking are two of the pillars at Horizon University. By integrating the Bible with their studies, students who earn a degree at Horizon University will be well-versed in their faith, and they take that knowledge into whichever professional field they end up in. While Horizon University only offers three online degrees in California, they all help students achieve more out of their career and life. The three undergraduate degrees offered are Biblical studies, leadership & ministry and organizational leadership. However, Horizon also offers associate degrees for students who want to bolster their education at a Christian school. Certificates are also offered through Horizon, so there's no shortage of educational options. Southern California Seminary, also known as SoCalSem or SCS, is a private school that combines higher education with the teachings of the Bible. One of the top seminaries to earn an online degree in California, SCS has taken all the curriculum they've developed over the years and applied it to their online programs. There are eight programs currently available through SCS, but the flexibility of these courses is what sets them apart. Classes begin every seven weeks, so students can jump in and out of their studies depending on how busy their lives are. Graduate programs are also offered through SCS, some of which can be completed in as little as one year. Another benefit of SCS is that they offer their courses in Korean. A degree from SCS shows that a student has acquired a sufficient understanding of the Bible and its teachings. Founded with Quaker values, Pacific Oaks College began as a school to educate teachers who wanted to teach little kids. Since its foundation, it has developed into a college that is based on four main principles: diversity, respect, social justice and inclusion. Students who want to end up in the field of education or working with children will find most of the degree programs at Pacific Oaks fitting. For those that are unable to commute to campus regularly or want to study at their own pace, Pacific Oaks is also one of the best online schools in California for undergraduate degrees in education. They offer many different specialized childhood education degrees, as well as other bachelor's degrees in similar fields. For students that want to round out their education, Pacific Oaks also offers master's degrees online. Online students can get all the experience they need through Pacific Oaks to embark on a teaching career in California. With so many specialized and niche degree programs at different schools, it can be difficult for students to find a degree that can serve them throughout their career. John F. Kennedy University takes a practical approach to education. A fully accredited school, John F. Kennedy University challenges students to push themselves in their studies, no matter what degree they end up pursuing. The goal is to give students a strong foundation for a future career while also preparing them to be learners in the future. For students who want to earn an online degree in California, John F. Kennedy University offers courses and programs online, ideal for students who want the same quality education but don't want to study on-campus in a traditional format. With beginnings as a school of psychology, Palo Alto University has since evolved into a school that offers different variations of psychology at multiple levels. Their undergraduate programs include a bachelor's in psychology & social action as well as a bachelor's in business psychology. For students that have already earned their bachelor's degree in psychology, Palo Alto also offers master's degrees in different psychology fields. While Palo Alto University does have multiple campuses for students to study at, they also offer some of their courses entirely online . For example, both of their undergraduate programs can be completed entirely online, in person or through a hybrid of online and on-campus courses. Thanks to their strong background in psychology, Palo Alto has become a great place to get an online degree in California for those interested in psychology. However, some programs are only offered in person, so students should keep that in mind before applying. Colleges in California boast 404 completely online programs and educate over 83,000 undergraduate and graduate students. Many students enrolled in these programs work work full or part time or have family obligations. Over 3,500 international students also earn their degrees through online California colleges and universities. In-state students attending an online school in California save approximately 75% on tuition at public colleges and universities compared to online out-of-state students. New residents qualify for in-state tuition after living in California for one year. If you live out of state, you may still apply to a California public school, and you may qualify for reduced tuition based on a reciprocity agreement; this article covers tuition reciprocity agreements more in greater detail in a later section. By earning your degree online, you do not have to pay multiple fees applicable to on-campus students: room and board, meal plan, etc. Despite California’s reputation for high prices, its schools’ tuition for in-state and out-of-state students earning their degrees online remain competitive against the national average. Sonoma State University, a California State University member school, charges students per semester rather than by credit; out-of-state students can expect to pay 100% more for their degrees than in-state students. Private colleges such as Alliant International University charge identical tuition to in-state and out-of-state students. For many students, earning an associate degree at a two-year community college before transferring to a four-year school represents a wise financial investment due to two-year colleges’ lower per-credit tuition. California colleges and universities educate approximately 13,500 out-of-state online undergraduate and graduate students. Graduate students outnumber undergraduate students by a 2-to-1 ratio. In this section, learn about tuition reciprocity agreements: how some out-of-state students may qualify for reduced tuition at California public colleges and universities. Another topic this section covers concerns state authorizations for online learning, agreements between states to collaborate on distance education standards. Fifteen California universities participate in the Western Undergraduate Exchange (WUE), an agreement that includes colleges and universities in 15 states and one U.S. territory. Partner universities agree to charge out-of-state students only up to 150% more in tuition compared to the in-state tuition rate. In other words, a participating California school could charge only $2,500 in tuition to an out-of-state student if it charges $1,000 to an in-state student. Although eligible out-of-state students may pay more in tuition, they still save money on their degrees. Before applying to an out-of-state WUE school, inquire if the reciprocity agreement applies not just to the school, but also to the major you intend to pursue. As of the writing of this article, California does not participate in the National Council for State Authorization Reciprocity Agreements (NC-SARA). California, as a nonmember, sets its standards for distance education; California online degrees remain valid in other states, so you need not worry about California online universities’ quality. Fortunately, California remains a WUE member — NC-SARA oversees WUE — so that prospective college students in western states can benefit from reduced out-of-state tuition. Continue reading to review answers to prospective students’ common questions regarding attending a value online college in California. If you have other questions, contact a program’s admissions department directly. Do online credits cost more or less in California? In California, online tuition savings vary by school, especially as schools may use different tuition rates depending on your major. Another factor that influences tuition concerns your status as a full- or part-time student. Full-time students typically save money as they can take additional credits at no extra charge. Studying full time may end up saving you thousands of dollars on your degree. If you qualify as an out-of-state student, you may find cheaper degree options in your home state. California public colleges and universities discourage out-of-state applicants through Nonresident Supplemental Tuition and other policies such as caps that limit how many out-of-state students can attend public schools. These policies may not apply to private colleges. In fact, you may discover that many private schools boast lower tuition than California’s public colleges and universities. Which California schools accept the most transfer credits? California public colleges and universities grant the largest number of transfer credits to students who earned them at California community colleges. For this reason, you should consider earning your associate degree through an online California community college before transferring to an online CSU program, which applies your associate degree to your bachelor’s. CSU boasts a detailed guide to answer transfer students’ questions and help them complete the transfer process. Like the CSU, some private online schools in California boast similar agreements with not just California’s community colleges, but those in adjoining states as well. Finally, the University of California system accepts up to 70 semester credits from transfer students. If you do not possess an associate degree but have multiple college credits, each college’s policy determines the number of credits you can transfer. For any credits to apply, you must earn them at a regionally accredited college or university. Some programs may also require that you earned a C or higher in courses for which you wish to transfer credits. Finally, programs may set an expiry date for your transfer credits, typically 5-10 years after you earned them. Will any online colleges in California accept a GED? CSU schools accept applicants who pass the GED, HiSET, or TASC exam. Even so, CSU schools require that applicants pass 15 high school courses and take the ACT or SAT. Prospective students can take required high school coursework through adult learning programs in their home communities. If you need to take prerequisite courses, inquire with schools if they offer these courses to incoming freshmen. Those that do can let you start your college education sooner than other programs. How many academic terms per year do online colleges in California offer? CSU schools use spring, summer, and fall start dates; each start date has a unique application deadline. Loma Linda University, a top private school for cheap online degrees in California, offers four start dates per year: summer, fall, winter, and spring. As you explore online programs in California, expect that each college uses 3-5 start dates. Waiting three or four months to start your college education may not seem optimal, but you can use this time to your advantage. First, you may need to purchase new computer hardware and software so that you can study online; do not forget that online learning requires a fast internet connection. Many online students have trouble balancing their personal and professional obligations with their educations, so examine and adjust your schedule accordingly prior to your classes beginning. Which online colleges will accept FAFSA in California? Nearly all online colleges in California accept the Free Application for Federal Student Aid (FAFSA). Use this link to determine if schools on your shortlist accept it. If searching for a school produces a Federal School Code, that school accepts the FAFSA. Through the FAFSA, you may receive generous financial aid awards through federally backed programs. You can learn more about other financial aid opportunities in this article’s final section. At cheap online programs in California, your FAFSA results may award you more than federally backed grants, loans, and work-study opportunities. Colleges use the FAFSA to award need-based financial aid. These policies may differ for online students, especially those who do not live in California. To learn more, consult with colleges’ financial aid departments. Department officials should also possess ample information regarding the amount of aid you can expect to receive if you enroll. Are there any free online classes I can take from California colleges? California universities boast hundreds of free online classes. At the state’s premier public university, the University of California, Berkeley, students from all over the world participate in UC BerkeleyX by taking massive open online courses (MOOCs). New UC BerkeleyX MOOCs start on a rolling basis, and the university offers both credit and non-credit courses. Although credit courses cost a fee, the tuition falls well below that of traditional online courses. Through the UC BerkeleyX website, you can explore online degrees at not just California schools, but at schools throughout the U.S.
California private colleges and universities also use MOOCs to attract potential students and broaden students’ educational opportunities. Stanford University boasts over 150 MOOCs at any given time; at Stanford, many students take MOOCs as part of their programs. Like at Berkeley, prospective students can sample MOOCs to explore their interests before committing to a program. As of the writing of this article, Stanford Online offers graduate-level programs, certificates, and individual credits. Popular master’s degrees include computer science, statistics, and materials science and engineering. Students who enroll in degree-granting programs pay the standard graduate tuition rate. How can I find the online program options at California colleges? 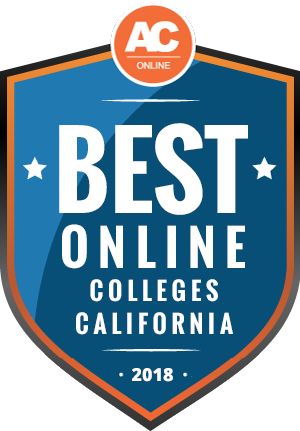 Although many colleges in California offer online degrees, consider starting your search with Cal State Online. On this website, you can research online programs at all CSUs. As of the writing of this article, Cal State Online provides nine bachelor’s program, 13 master’s programs, and two doctoral programs. Cal State Online also offers certificate programs and connects California students with general education courses they need so they can transfer to other online or on-campus programs. The website also includes valuable information concerning top online programs in California. Neither the state’s community college system or University of California system provide a similar resource. If you plan to apply to private online universities in California, you should check with individual schools to learn more about their online courses and degrees. Private schools may use both completely online programs and hybrid programs that require you to take some courses on campus. No matter where or how you attend college, start your scholarship and grant search by exploring Pell Grants. Eligible students receive Pell Grants by filling out the FAFSA. As students who make more than $45,000 per year do not qualify for Pell Grants, you should explore scholarships exclusive to students attending school in California or online at a California college or university. Continue reading to learn more about five exciting scholarship opportunities exclusive to California students. The California Student Aid Commission awards over 25,000 scholarships each year to eligible California residents. Applicants must not qualify for a Cal Grant Entitlement Awards. To apply, submit FAFSA results and current academic transcripts. The most competitive applicants possess a minimum 3.0 GPA and come from low-income families. CAC awards over 30 scholarship each year to California high school juniors and seniors planning to study any academic subject. To apply, submit the application and a one-page essay on an assigned topic by the January 20 deadline. Recipients may use the scholarship at any accredited California college, university, or technical school. The scholarship does not renew. Single parents living in the San Francisco Bay Area may apply to this competitive scholarship. Applicants must already attend a two- or four-year school. Capture the Dream, Inc. considers applicants’ financial need and leadership potential. Submit all application materials by the June 30 deadline. Lilliput Families awards this scholarship to California residents 25 and under who spent all or part of their childhood in the California foster care system. Applicants must already attend or have applied to a two- or four-year college. Scholarship recipients may study at any college in the U.S.
Women high school seniors who live anywhere in California may apply to this competitive scholarship. Scholarship recipients attend the annual PBWC conference in San Francisco. Submit all application materials — application, essay, reference list — by the January 31 deadline. The scholarship goes directly towards students’ college tuition.